Tata Motors today posted three-fold rise in its consolidated net profit at Rs 5,177.06 crore for the fourth quarter ended March 31, driven by strong performance of its British arm JLR and robust volume growth of its heavy and medium commercial vehicles. 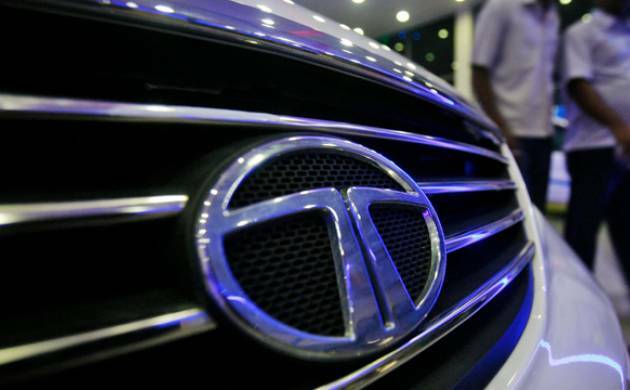 The city-based company had posted a consolidated net profit of Rs 1,716.5 crore in the same period last fiscal, Tata Motors said in a BSE filing. Consolidated net sales in the fourth quarter of current fiscal were up 18.76 per cent at Rs 79,926.12 crore, as against Rs 67,297.99 crore in the year-ago period, it added. Commenting on the performance, the company said it had stronger operating performance in both standalone as well as Jaguar Land Rover business and lower net finance expenses. The gains were however partly offset by higher depreciation and amortisation expenses, adverse revaluation of EUR payables and one-time reserves and charges of Rs 1,580 crore for the industry-wide recall in the US of potentially faulty airbags supplied by Takata, it added. On a standalone basis, the company reported a net profit of Rs 464.99 crore for the fourth quarter. It had posted a net loss of Rs 1,164.25 crore in the year-ago quarter. Standalone net sales were at Rs 12,459.51 crore against Rs 10,676.19 crore in the year-ago period. The company posted a net profit of Rs 234.23 crore on standalone basis for the year ended March 31. It had reported net loss of Rs 4,738.95 crore in 2014-15. Net sales rose 16.87 per cent to Rs 41,948 crore in FY2016, against Rs 35,890.5 crore in FY2015. Jaguar Land Rover posted profit after tax of 472 million pounds for the quarter as compared with 302 million pound, up 56.29 per cent as compared to same period of previous fiscal. Its revenues for the fourth quarter stood at 6,594 million pounds, compared to 5,826 million pounds in the same period year-ago. JLR wholesales (excluding China JV) for the quarter were 149,895 units, up 19.8 per cent, it said, adding China JV wholesales for the quarter were 12,532 units. For the year ended March 31, Tata Motors posted a consolidated net profit of Rs 11,023.75 crore, down 21.18 per cent from Rs 13,986.29 crore in 2014-15 fiscal. Net sales of the company rose by 4.56 per cent to Rs 2,72,645.84 crore for the year ended March 31, as compared to Rs 2,60,734.33 crore in the 2014-15 fiscal. The company’s board, which met today, approved a dividend of Rs 0.20 per share of Rs 2 each and a dividend of Rs 0.30 per ‘A’ ordinary share of Rs 2 each for the financial year ended March 31, 2016. Shares of Tata Motors ended the day at Rs 420.55 apiece, up 4.23 per cent from the previous close on BSE.